UFO SIGHTINGS DAILY: Pink Fuzzy UFO Seen Over Mexico City On March 11, 2016, Video, UFO Sighting News. 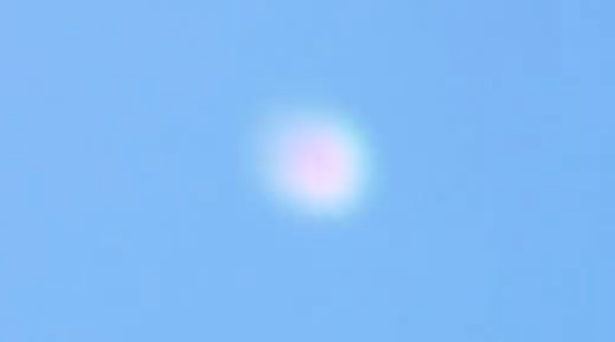 Pink Fuzzy UFO Seen Over Mexico City On March 11, 2016, Video, UFO Sighting News. Above photo has added contrast, below is normal. This pinkish orb was seen over Mexico last week and it has its own fuzzy little cloud around it. Its really high up, so it makes me wonder whats its doing...possibly monitoring something the air...the ground activity? What ever its doing, one thing is for sure...people noticed it.